Beat in the eggs, and vanilla. Dissolve baking soda in hot water, then add to batter along with salt. Stir in flour, and chocolate chips. 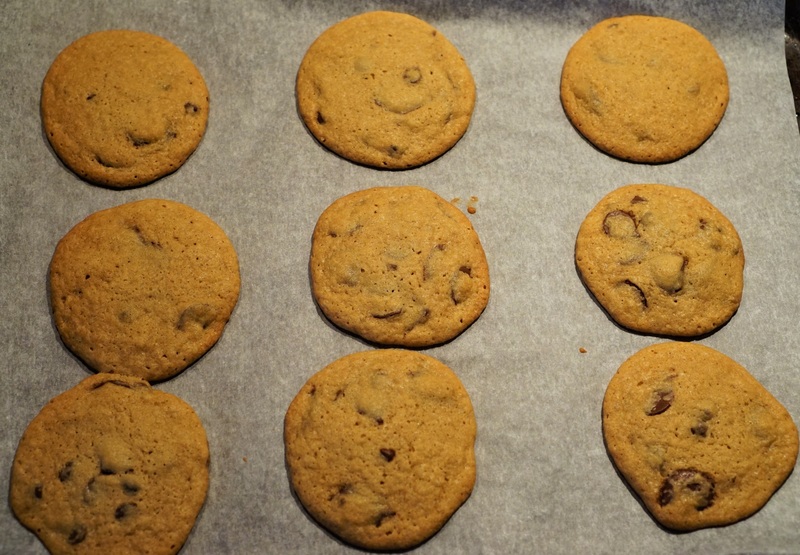 Drop by large spoonfuls onto baking sheet lined with baking paper. Bake for about 10 - 15 minutes in the preheated oven, or until edges are nicely browned.